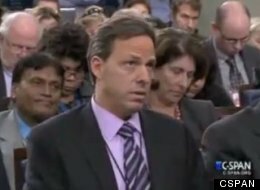 CNN’s Jake Tapper took on far-left Georgia Democratic gubernatorial candidate Stacey Abrams on Sunday over her support for confiscating guns from law-abiding Americans and for her support for banning semi-automatic rifles. Abrams, who said last month that she wants to ban semi-automatic rifles if she is elected governor, appeared on CNN’s “State of the Union” where she once again said that semi-automatic rifles must be banned in the state. “AR-15s are not necessary on our streets,” Abrams continued, as she continued to express her support for banning semi-automatic weapons. “No, what I have said is, legislation in the state legislature is about starting the conversation,” Abrams said, appearing to contradict herself. “I believe that we have to ban assault weapons in the state of Georgia,” Abrams concluded.